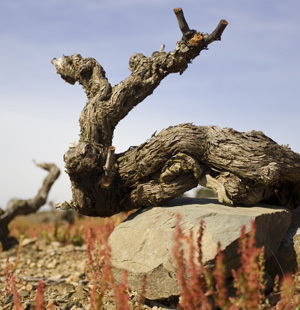 The wineyards grown on granitic sandy soils in the Albera Nature Reserve Area. This wine is 100% empordanès. Textbook Grenache: Ruby color, strawberries and violets on the nose, with hints of vanilla and herbal notes, that - we guess - come from our touch, the rocky and herb-covered Cap de Creus and the Tramontana. It's rich and powerful but gentle when it comes to tannin. A winner. Very versatile. It will match both, white and red meats, especially roast meat and barbecues, strong and cured cheeses. Grilled vegetables, pork sirlion, roasted lamb, chicken and turkey.